Toronto: Simon & Pierre, 1990. Once again Keith was following older brother Don, as he had all his life—but this time it was to a dangerous rendezvous in Colombia. Leaving the Ottawa Valley farm for the poverty and violence of Bogotá, Keith gains new perspective on his life, his home and country, and their roles in the world. With meticulous detail, this first novel probes the points of contact between identities in different corners of the Americas. Other Americas is a tale of intrigue that unravels at a teasingly deliberate pace….The novel juxtaposes the adolescence of Keith Merrick, in the Ottawa Valley, with his present-day struggle to find his older brother Don in Colombia. Curiously, Keith becomes more and more like his nemesis, getting his ex-fiancée, following him to Colombia, and actually “becoming” Don in an ironic ending. Henighan’s style is vivid and visual. Many scenes have a cinematic feel to them, crosscutting from Canada to Colombia, or between two locations within Colombia…. 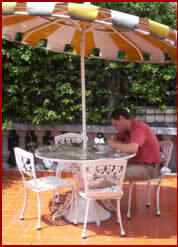 Other Americas is an exciting novel – the kind you read quickly in anticipation of the climax. 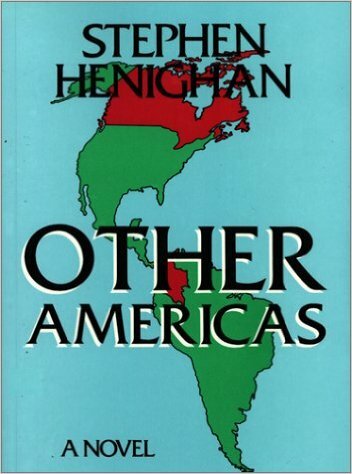 A remarkable first novel…Other Americas may well be the book that vaults Stephen Henighan into the ranks of top Canadian novelists. Other Americas is a highly readable, bold first novel…. Henighan’s storytelling is well measured and direct. This is a very ambitious first novel, and Henighan is to be applauded for his attempt to bring the troubling events in Colombia into the world of his Canadian readers. Henighan is talented….some passages send shivers up the reader’s spine.